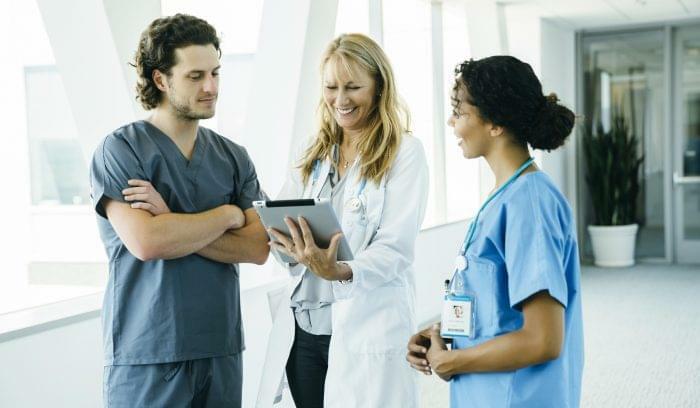 78 percent of office-based physicians use electronic healthcare records, which means the construction of a nationwide healthcare IT infrastructure is almost complete. The next step is to link EHRs with healthcare provider’s mobile devices. Making EHRs accessible via mobile devices is simply the next phase in healthcare IT development. It also may signal a change in the EHR marketplace. 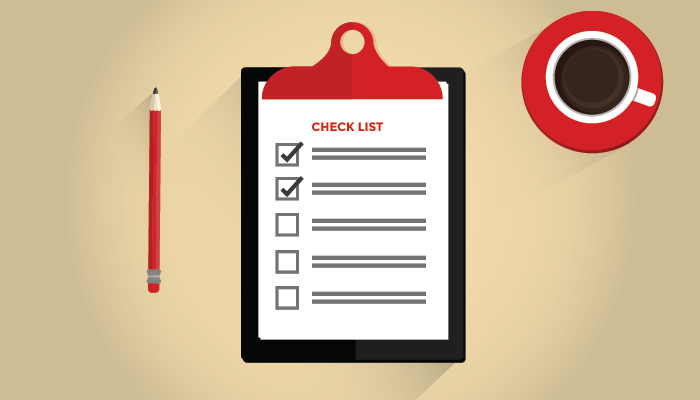 For perhaps the first time, providers are setting the standards for EHR vendors. Spurred by Meaningful Use, the initial EHR market was artificially inflated with products that didn’t meet the comprehensive needs of healthcare providers. It’s no coincidence that this initial push for adoption was met with resistance by physicians, and featured products that had little physician input. Provider demand for mobile access however, and the subsequent reaction by EHR vendors, signals a shift the market’s dynamics. 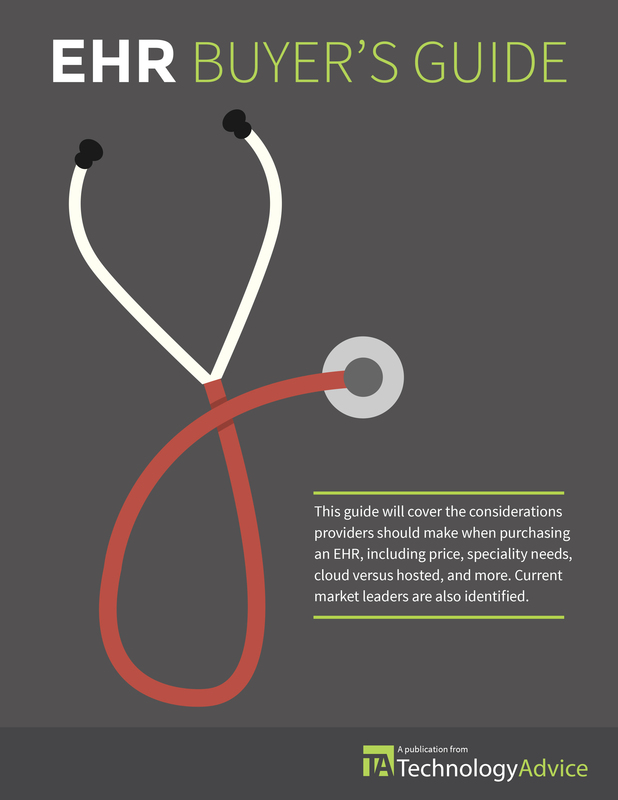 Providers have greater expectations, and they’re making their requirements known to EHR vendors. In the case for mobile access, the market’s opinion is overwhelming. 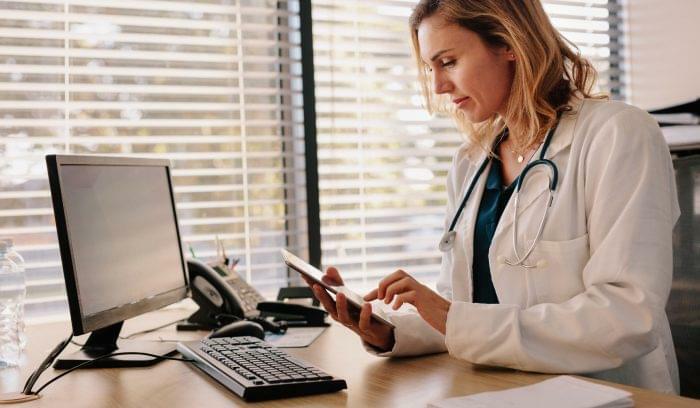 According to a 2012 Vitera Healthcare survey, a reported 91 percent of physicians are interested in a mobile EHR access, along with 66 percent of practice administrators. 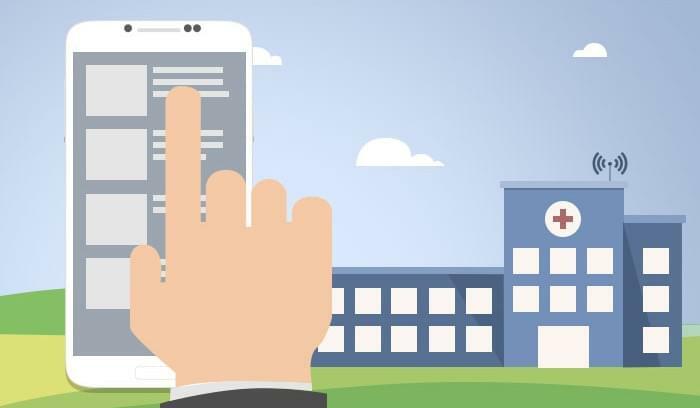 The report also found that the most desired features for mobile EHR applications were the ability to review and update patient charts, as well as order prescriptions. And although 72 percent of physicians currently use mobile devices at work, their smartphones are mainly used only to communicate with other staff members. While the term mobile is associated with smartphones, tablet computers are actually the frontrunners for EHR access. The tablet’s larger screen makes data entry more manageable, and their interfaces are larger and more intuitive. Perhaps that explains why a reported 51 percent of physicians use a tablet when accessing their EHR. In contrast, only 7 percent of physicians use their smartphones for EHR access. With demand for mobile applications nearly ubiquitous across the healthcare landscape, it’s easy to grasp why Black Book Rankings predicts the market for mobile EHR applications will grow by 500 percent this year. Black Book’s most recent market survey also sheds light on the availability of these mobile applications. Currently, just 17 percent of EHR vendors offer healthcare providers mobile access to their EHR system. Another 36 percent are developing applications. In the same study, 100 percent of physicians shopping for a new system said mobile accessibility was a must. Physicians also know what functionality they want from mobile applications. While replicating the power of the entire EHR system is doable, and impressive, 83 percent of physicians declared it was unnecessary. Instead, Physicians prefer a mobile application with functionality specific to the mobile device. Convenience isn’t the only way mobile access helps physicians. One of the main benefits for providers is the technology’s potential to improve their patient satisfaction scores. Providers are often unsatisfied with the amount of time they spend using EHRs, relative to the time they spend with patients. Having an EHR in the exam room can be intrusive. If the provider needs to spend most of the time entering data into a computer, it makes the visit less personal, and the patient less satisfied. Because patient satisfaction scores now play a larger role in physician quality scores, this issue also affects a provider’s bottom line.Using a tablet computer to input data and update patient charts allows the doctor to focus more on the patient, and less on the computer. In fact, studies have shown patients respond favorably to their physician using a tablet during office visits. From a macro perspective, mobile access to EHRs can also improve the coordination of care. Before the advent of mobile EHR access, physicians had to stop by their office to access the EHR and review a patient’s referral, health history, and other relevant information. For home-care providers, this is a hassle, and it makes the entire delivery process less effective. Utilizing mobile access allows providers to update clinical documents in the EHR from the field, and speeds up the healthcare process. A CHIME study showed that utilizing tablets in a home-health setting to order supplies cut costs by 20 percent in the first year, and resulted in patients receiving their medical supplies as early as the following day. However, healthcare providers must exercise caution in extending EHR access to mobile technologies. The highly sensitive nature of patient health information nearly demands that providers supplement mobile applications with mobile device management (MDM) technology to ensure compliance with privacy regulations. Both proper training and organization protocols should be used to improve the physical security of mobile devices, especially considering that theft accounts for 52 percent of healthcare data breaches.